Though we hate to admit it, our cats, like our children, grow up quick. One minute they’re running across the house at full speed and the next they spend the better part of their day napping. And like older humans, aging cats need a bit of extra attention to ensure a comfortable and healthy life. Since November is National Senior Cat Month, we’ve put together a few surprising facts that can help in the care of your senior cat. 1. Did you know cats are considered “senior” at seven years old? You might be surprised to learn that veterinarians consider a cat to be “senior” when it reaches seven years of age. No, it doesn’t mean your kitty is necessarily old or over the hill. It’s simply a definition that helps owners begin to look for signs that their cat may need a bit of extra attention. Remember seven is an average. Each cat is different so regular veterinary appointments are important (see below). 2. 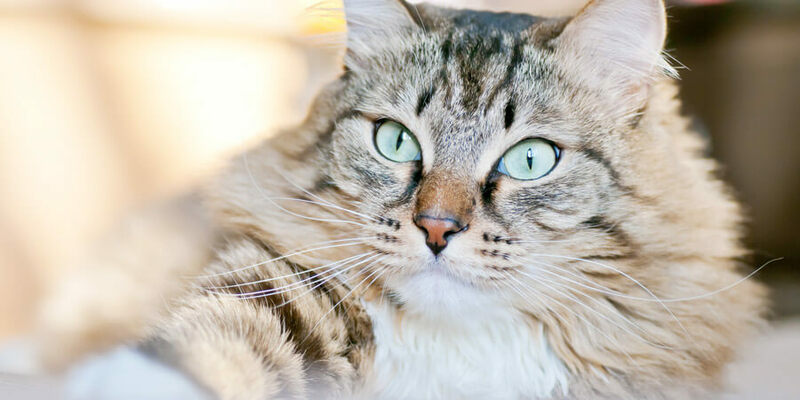 Did you know most physical conditions in cats go undiagnosed? It’s often difficult for pets to adequately communicate to us how their body is doing. Unless something is drastically wrong, you might not notice if something is causing them pain or discomfort. Those with a senior cat should schedule at least two vet visits per year. Your veterinarian will be familiar with your cat’s health history and will know what to look for. 3. Did you know that more than half of cats become obese? Older cats often become less energetic. While it might seem normal for older cats to spend less time exercising, it’s very important to engage older cats with regular, moderate exercise. A little playtime can go a long way in preventing joint disease and promoting healthy muscles and weight. Playing with them is also a healthy way to keep your kitty mentally stimulated, slowing the effects of aging. 4. Did you know that more than 70% of cats develop arthritis? Not unlike humans, older cats can have a harder time moving about the home. Look around your house and make sure your cat has proper access to its food, water and litter box. Finding a litter box with lower sides and placing it in an easily accessible location will make it easier for your cat to go into the box. Consider also buying “bed steps” if your cat is accustomed to sleeping with you. 5. 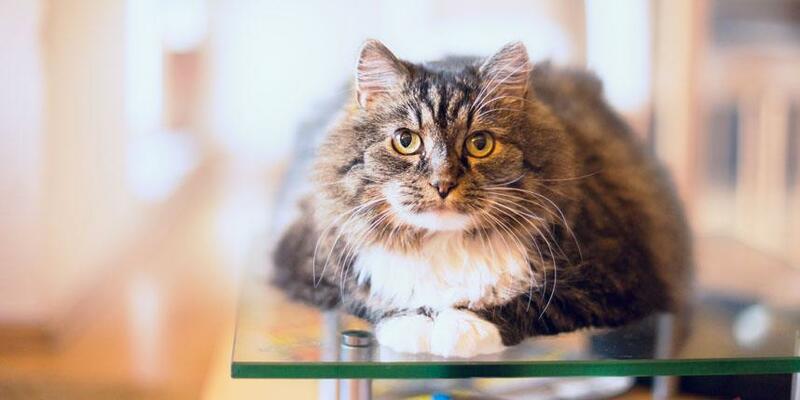 Did you know older cats put on body fat despite consuming fewer calories? A cat’s dietary needs may change as they get older. Obesity, heart disease, periodontal problems, kidney failure and other conditions may require special diets that cater to the needs of your cat’s aging body. Be sure to talk to your veterinarian about what foods and supplements best deliver the nutrition necessary for your cat to feel young long into adulthood! 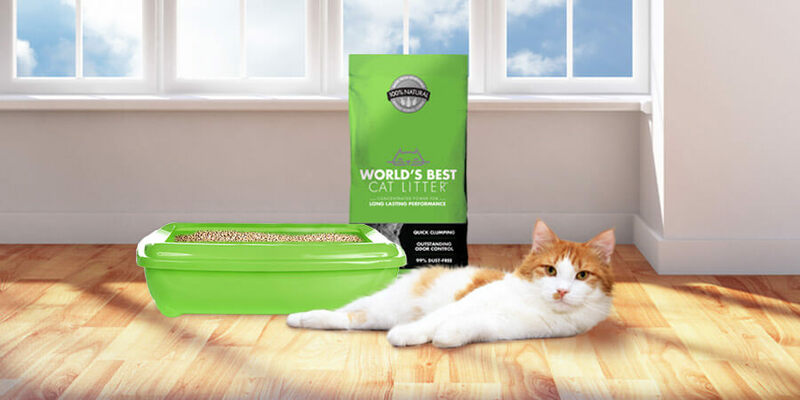 WIN A 6 MONTH SUPPLY OF WORLD’S BEST CAT LITTER™! JOIN THE CUTEST SENIOR CAT CONTEST BY OLD CATS RULE!